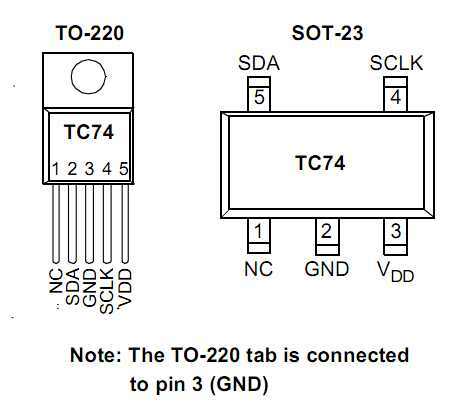 The TC74 chip is a serially accessible, digital temperature sensor from Microchip Technology that acquires and converts temperature information from its onboard solid-state sensor with a resolution of 1°C. 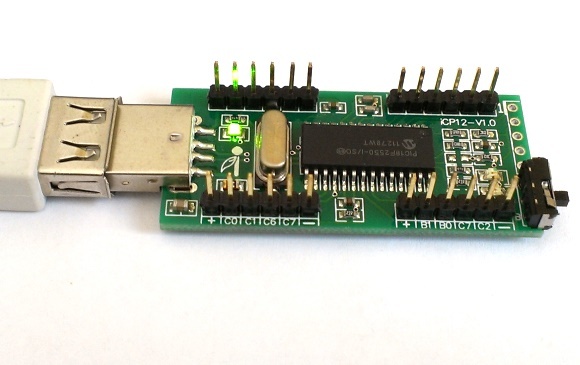 The temperature is available as an 8-bit digital word stored in its internal temperature register, which is accessible through a 2-wire I2C compatible serial bus. 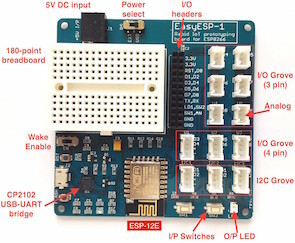 This tutorial describes how to use the TC74 sensor with a PIC microcontroller to measure the surrounding temperature. Due to its simplicity (requires minimum external components) and high availability, LM386 is very popular among hobbyists for use in low-voltage audio amplification applications. Most of the time a potentiometer is used at the input side of LM386 to provide a volume control in the output speaker. The potentiometer does not control the gain of the amplifier itself, but it creates a voltage divider network at the input, which in fact controls the fraction of the audio signal that is fed to the amplifier. This project is about a stereo audio amplifier using two LM386 ICs with digital volume control for both left and right speakers. So, how would you control the volume digitally? You are right, by replacing the traditional electro-mechanical form of potentiometers with digital potentiometer chips. 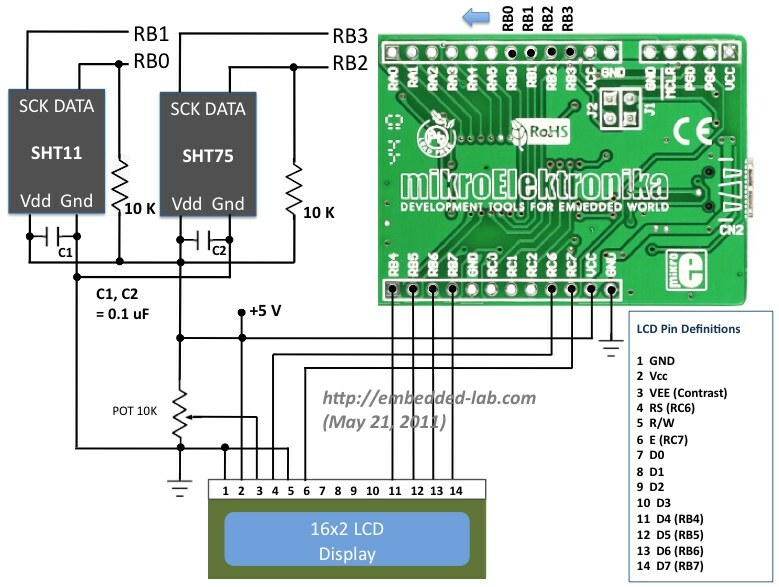 This project uses MAXIM’s DS1868 dual digital potentiometer chip and a PIC microcontroller to control the volume of a stereo output from two LM386 ICs. In Part 1 of this tutorial, we discussed about Sensirion’s SHT1x and SHT7x series of humidity sensors, their interface specifications, the communication protocol used for transferring data in and out of the sensor, and the equations to convert their digital outputs to actual physical quantities. These sensors are capable of measuring temperature along with relative humidity and provide outputs in fully-calibrated digital words. 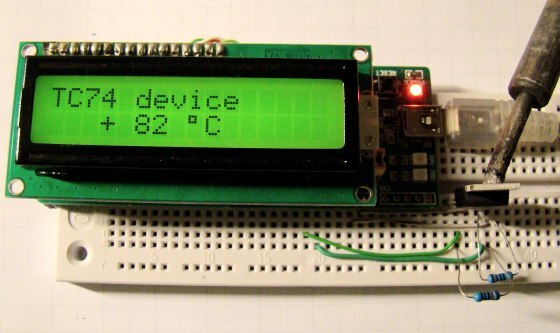 We will now see how a PIC microcontroller can be programmed to communicate with these sensors, read the temperature and relative humidity data, and display the information on a character LCD. In Lab 12, we learned about the basic structure of a monochrome (single color) LED dot matrix and its interface with a microcontroller to display static characters and symbols. 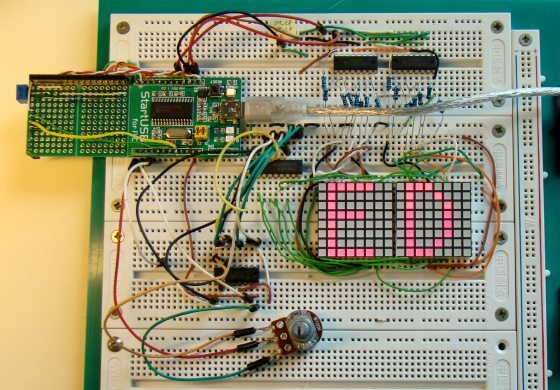 Today’s lab is its continuation, and we will be discussing on displaying a scrolling text message on a 16×8 LED dot matrix. 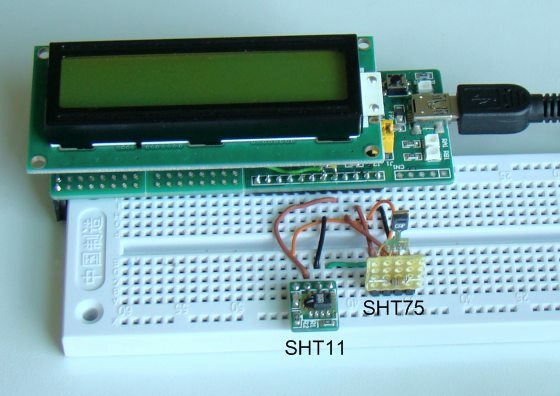 The microcontroller used is again the same PIC18F2550 from StartUSB for PIC board. The 16 columns of the LED matrix are driven individually by two shift registers (74HC595), whereas the eight combined rows are driven by the decoded outputs from a decade counter (CD4017). In Lab 12, columns were scanned, but here we will be scanning across the rows and feed the column lines with appropriate logic levels. 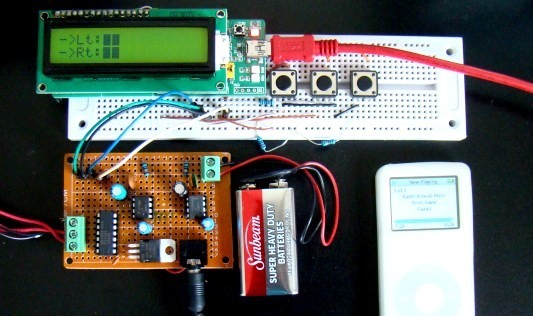 An analog input from a potentiometer is read by the microcontroller to determine the speed of the scrolling message. The technique will be demonstrated for right to left scroll, but can be easily implemented for scrolling in other directions. The program for PIC18F2550 is developed with mikroC Pro for PIC compiler.